Jacob Darwin Hamblin writes about the history and politics of science, technology, and environmental issues. His work has appeared in the New York Times, Salon, and many publications devoted to the history of science, technology, and the natural world. Hamblin created H-Environment Roundtable Reviews and edited more than thirty of them from 2010-2015. He commissioned and edited essay reviews for Historical Studies in the Natural Sciences from 2011-2015, and has served as advisory editor for that journal continuously since 2011. He was advisory editor of Isis from 2009-2011, and has been on the advisory board of Environmental History since 2013. He has served as chair of the George Perkins Marsh Prize Committee for best book in environmental history, as well as the program committee of the annual meeting of the American Society for Environmental History. 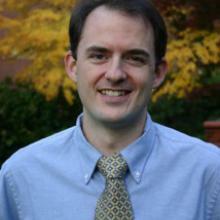 Currently he directs the graduate program in Environmental Arts and Humanities at Oregon State University.